he current number is based on data through January 28. The adjusted sequence for the last four weeks has been a steady range: 3.6, 4.1, 3.5, 3.7. 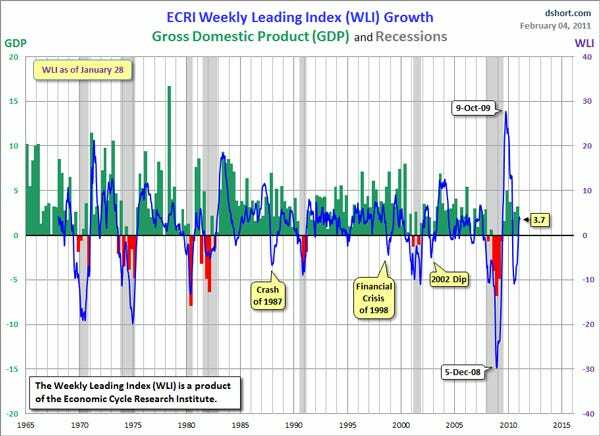 The published ECRI WLI growth metric has had a respectable (but by no means perfect) record for forecasting recessions and rebounds therefrom. 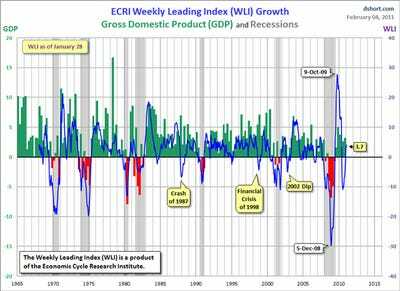 The next chart shows the correlation between the WLI, GDP and recessions. The question had been whether the WLI decline that began the the Q4 of 2009 was a leading indicator of a recession. 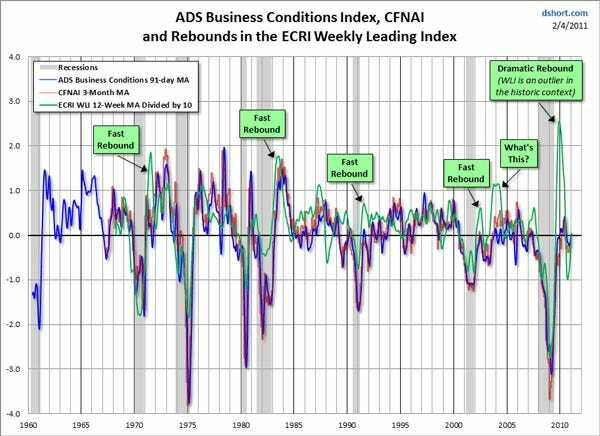 The published index has never dropped to the -11.0 level in July 2010 without the onset of a recession. The deepest decline without a recession onset was in the Crash of 1987, when the index slipped to -6.8. The ECRI managing director is now on record stating that we’ve avoided a double dip. The Advance GDP for Q4, coming in at 3.2, confirms the ECRI stance.